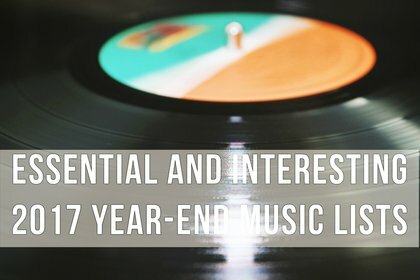 I will aggregate essential and most interesting "best of 2017" year-end music lists as I have for the past nine years, and update this post regularly. See also: Largehearted Boy's Online "Best Books of 2017". Please consider making a donation or leaving a tip to Largehearted Boy to support the website and posts like these, as well as author playlists, daily book & music news, and much more.